John Ihm of Guttenberg submitted the winning entry in our recent directory cover photo contest. The photo, pictured here, is of the Clayton County Court House clock tower with a stormy background. 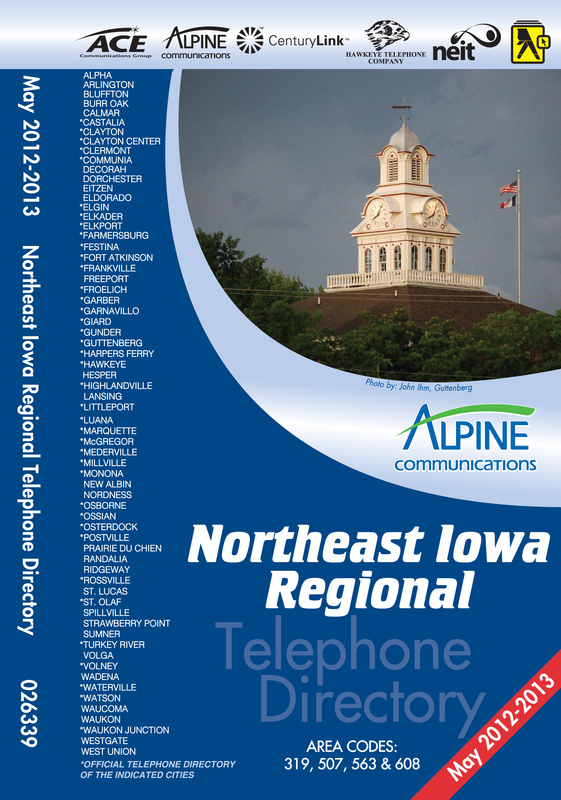 John’s picture will be featured on the cover of the 2012-2013 Northeast Iowa Regional Directory which will be distributed to Alpine Communications customers in May. He will also receive a $50 Gift Certificate to the Alpine TEC Store. Thank you to everyone who participated in this contest. We received many photo entries from customers all over the service area. Each contestant received a 5×7 copy of their photograph printed at the Alpine Digital Photo Center. Click Here to view the gallery of photos submitted this year.